Kathleen Y’Barbo Comes to Springfield! 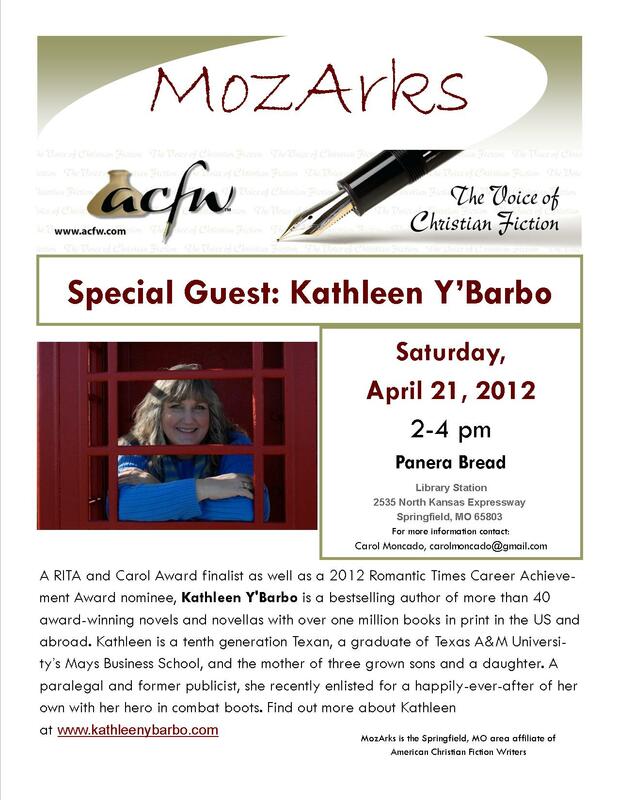 This month, Kathleen Y’Barbo is our special guest at MozArks ACFW! Be sure to join us if you can!